Mold and mildew is not just something that builds up in your shower, quickly scrubbed away with a sponge. In fact- mold and mildew spores are probably in the sponge that you are using to scrub the blackish-green gunk away. Mold and mildew can build up over time and can get a foothold in the tiniest of cracks. Mold sneaks into your home in the form of moisture. Often, the giveaway that your home has mold is the smell. If a home smells old, damp, or musky, it is likely that those odors are caused by mold or mildew. Mold and mildew can lurk in our homes both in obvious places, and places we can’t see. Both are types of fungus that grow in situations where there is prolonged exposure to moisture. In the home, mildew is most often found on clothing, floors, ceilings, walls, and furniture in environments where humidity is not adequately controlled and regular cleaning doesn’t occur. Basements, leaky plumbing, and cracked foundation where groundwater seeps in are common areas where mildew can become a problem. Mildew is usually caused by too much moisture in the air combined with poor ventilation and warm temperatures. It needs an organic food source to grow. That is usually provided by organic materials used in construction like paper, wood, or dirt. You can recognize mold by its fuzzy texture and blue or green color, and mildew by its flat texture and white or brown color. The strong musty odor of mildew is caused by the gasses released when it forms. Those gasses can quickly be absorbed by other materials in your home like carpet, clothing, and insulation. Therefore, even if you get to the source of mildew and stop it from further spreading, removing its lingering odors can be a challenge if the problem is not addressed early on. Why Would Mold and Mildew be an Issue? If you have found mold in your home, and with the thousands of strains of mold and mildew, you are more likely than not to encounter mold in your home. In recent studies, mold has been found in virtually every home in some capacity. The dangers of mold are certainly a concern. There is no way to tell from just sight if the mold in your home is the toxic strain. Regardless of toxicity, exposure to mold and mildew spores on a continual basis leads to health issues. Are Mildew Odors Really a Danger to Your Health? The symptoms that can present themselves when you’ve been exposed to mildew are obviously unpleasant, but can they lead to more serious health consequences? There are over 100,000 types of mold and mildew, and not all appear in the same types of conditions or cause the same symptoms. At its most extreme, a toxic mold called Stachybotrys has been known to cause death when ingested in large quantities directly. Besides being directly linked to asthma and respiratory diseases, mildew odors in the home have been associated with higher likelihood of depression. In general, the cleaner the air is that we breathe, the less chance we have of suffering from symptoms that arise from too much mold, mildew, or other allergen or chemical exposure. Mold and mildew can be found in different places in our home and even in our food, and some varieties are more toxic than others. Much of the problem with these fungi arise from the fact that they grow in the dark, hidden spaces, and we may not realize they are even making us ill until the damage has already been done. Also, even when we can see the source of mold and clean it up, millions of mold spores can be left airborne and can continue to exacerbate symptoms. Molds that are particularly dangerous are those that are classified as mycotoxins. When clusters of this type of mold build up, either in the air or on a surface in your home, they continuously release more spores into the air and create a dangerous environment for you and your family.If you can see the mold visible on a surface in your home, you know that the problem is already serious. Even without being able to see mold or mildew, you can still fall prey to ingesting too much of it if it is hiding in places you can’t see. Broken window sills: These are also a common breeding ground for mold and mildew to form and multiply. Window sills are supposed to be a watertight seal against moisture and air, however, when a window busts a seal, moisture seeps in over time. Mold spores from the window sills can quickly spread to other areas of your home. Roof leaks: Leaks from the roof can also lead to mold and mildew exposure and growth. The roof is often an area that homeowners do not consistently check on unless they notice a leak or warped shingles. By the time a leak is noticeable, or shingles are so warped they are visible on the roof line, mold and mildew have been present for a long time. Prolonged exposure to these fungi can also cause uncomfortable physical symptoms. If you have been around mildew for extended periods of time, you could develop respiratory symptoms such as difficulty breathing and asthma. Certain groups are more susceptible to suffering ill effects of mold and mildew than others. Young children or the elderly, or those with compromised immune systems due to HIV or other disorders, are more likely to be sensitive to mold and to have more severe reactions when exposed to it. Especially those suffering from asthma can see worsened symptoms if their home is contaminated with mold or mildew. Have you ever woken up in the morning after a very long night and realized that you left your laundry in the washer overnight? This is a very common but smelly mistake that is just one of the main issue that can lead to musty and mildew smell in your clothes. Mildew smells are quite the chore to remove and to rewash them over and over seem just to make the matters worse.Here are some of the common causes for mildew smells and what you can do to remove the odors from your clothes on the first wash.
1)Make sure your clothes washer itself is clean; if clothes smell musty right after washing make sure to clean the washer by running it through an empty cycle with hot water (using our laundry machine cleaner, of course). It also helps to keep the lid open in-between washings (but be careful about the safety hazards of leaving laundry machines open if you have pets or young children). 2)If the manufacturer’s cleaning instructions allow, wash your clothes in the hottest water possible to eliminate odors. A commonly overlooked place for mold growth is on our clothing. The truth is that our clothing(especially those stored away in closets and attics) is the ideal place for mold growth. If you happen to find mold on an article of clothing – hopefully it’s been caught quickly – there are a few ways to go about removing it but keep in mind that the longer the mold has been located on the fabric, the worse it will smell, and the more time it has to eat away and ruin your clothing and linens. Mold and mildew odors are a tough cookie to crumble, but you are not helpless in the battle if you use the proper products. Steer away from scented products and products that are abrasive and contain chemical pairing agents to remove the odors. 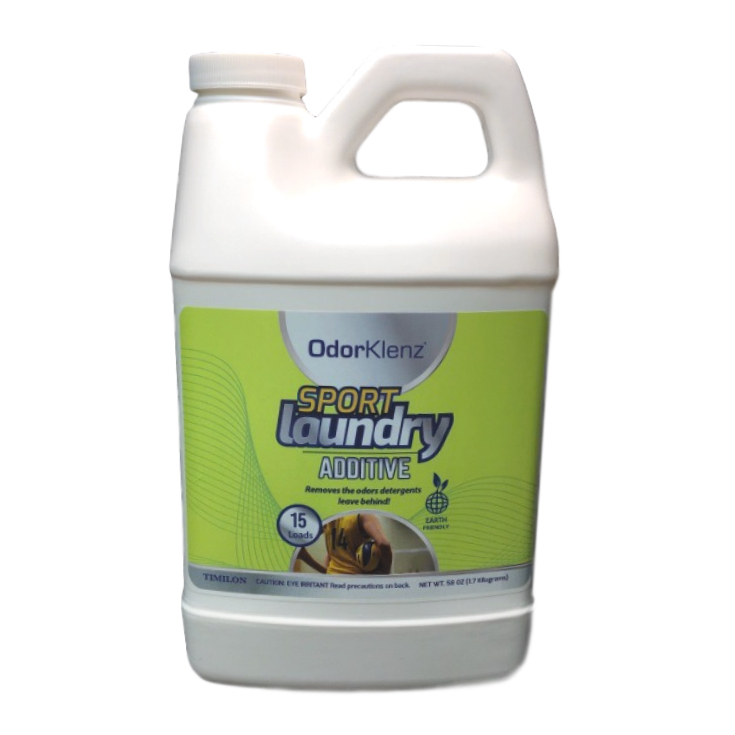 Just add the additive along with your detergent to your wash and run a full cycle. 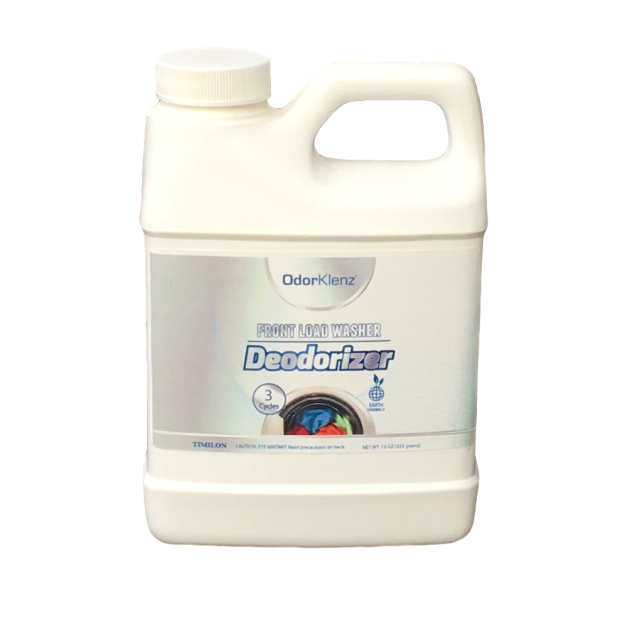 The additive will work to attack the mold and mildew odors and get your clothes smell clean and odor free. 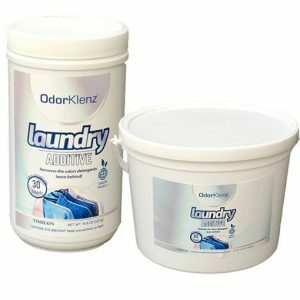 Although OdorKlenz does not kill or remove mold, it will work to remove mold odors and odors associated with mold and you, the customer may use a detergent specialized in killing mold or a mildew along with OdorKlenz laundry additive. For more information click the, “learn more”” button below. Did You Know? 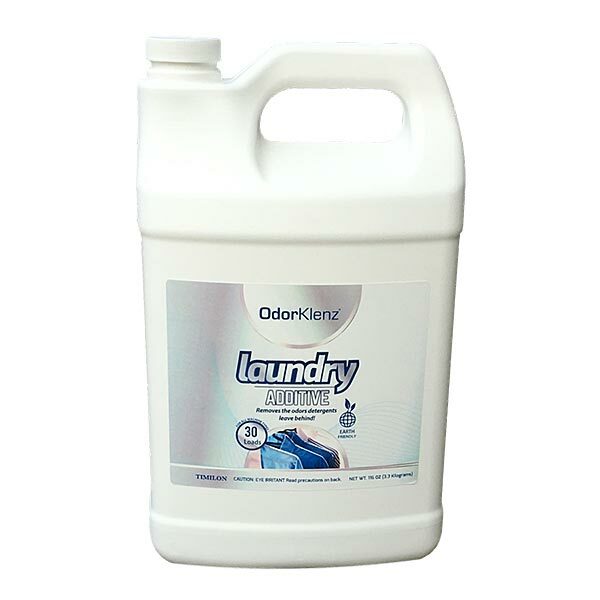 The OdorKlenz technology has been tried and trusted by 1000’s of satisfied Customer to safely remove and neutralize mold and mildew smell from clothing and textiles! We can’t wait for you to try and let us know how you like it!